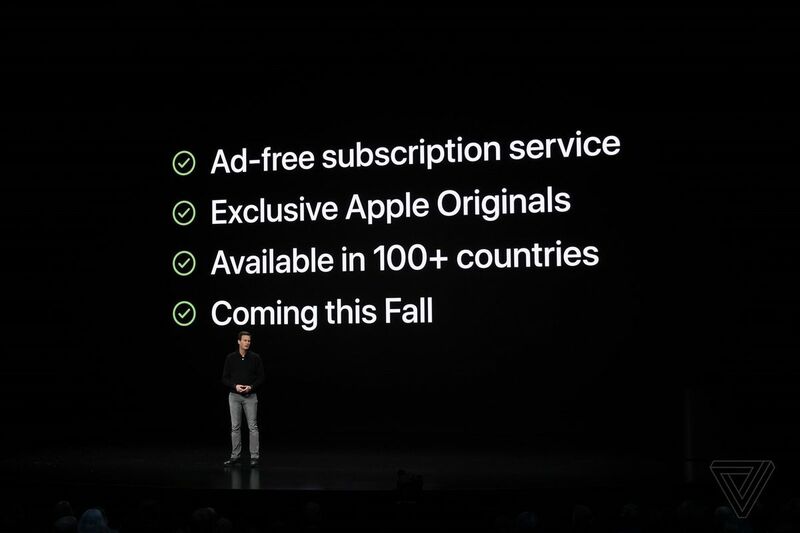 CEO Tim Cook just announced the service — featuring Apple’s original programming — alongside a redesigned, more advanced Apple TV app at the Steve Jobs Theater. “As you can tell, today is going to be a very different kind of event,” Cook said to kick things off. The introduction of Apple TV Plus, which the company says will become “the new home for the world’s most creative storytellers featuring exclusive original shows, movies and documentaries” was led by a video featuring Hollywood director Steven Spielberg and stars attached to the shows that will help shape Apple’s service. Apple is expected to spend $2 billion this year on original content that it hopes can stand toe to toe with shows from Netflix, Hulu, Amazon, and others. But it’s got some catching up to do (Netflix is spending billions more in 2019), and the company didn’t show trailers or clips for many of the projects it went over, as a good number are still in the works. It did show a short video montage featuring several shows, however. Aside from making a big originals push, Apple is equally focused on making its Apple TV app, which is free to use, the centerpiece of a consumer’s various video subscriptions. Onstage, the company announced Apple TV Channels, which will let customers pay for HBO, Showtime, Starz, CBS All Access, and other services directly through the TV app and watch everything there, too. Apple will be handling the streams and promises top-tier picture and audio quality for all Apple TV Channels it offers. A redesigned TV app is coming in May, and Apple says it will make finding the latest must-watch shows easier and surface recommendations from over 150 third-party video apps that Apple will offer.